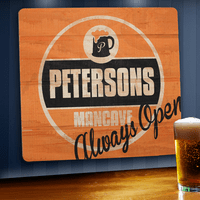 FEATURES/SPECS Are you looking for a customized wall sign for your man cave that's a little out of the ordinary? Then look no further! 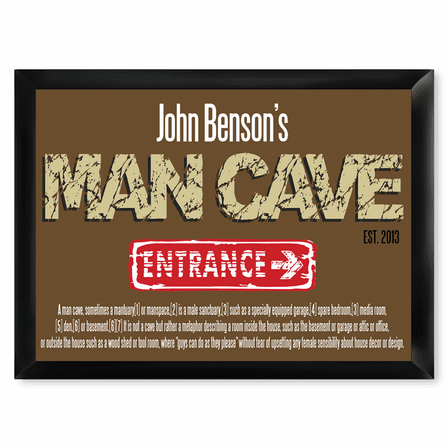 This personalized man cave sign is made of solid wood and comes ready to hang. It comes printed with your full name, listing you as the owner and includes a date of establishment. 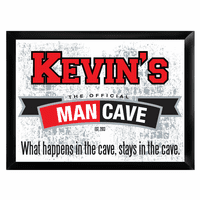 It has a big red entrance sign, pointing the way and below that are the various dictionary definitions of a man cave. Your guests will be sure to stop and read, and be amused, by the actual definitions of just what a man cave is. 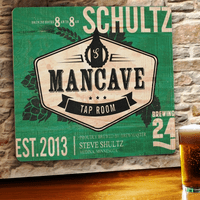 This personalized pub sign is a true conversation piece. 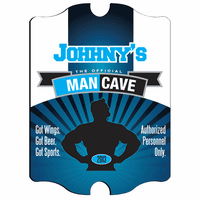 Comes painted with the words "Entrance" and a definition of the term "Man Cave"